A gentle breeze carried across the dark blue ocean. The scent of saltwater air was a sweet flavor always missed and forever welcomed. Voices were the waves that rolled over each other, and a thousand eyes decorated the sky. The heat was finally simmering, and the promise of rain draped over the falling night. Security stood at the ready, ushering ticket holders to their seats, and the aisles filled with hungry anticipation. Then, her voice rose high like wings soaring, touching down across smooth velvet, and talent lit up the stage. A star was seen falling with grace, gliding across the dreams that cling to our heart, and begging to be set free. Her voice touched my heart. The man behind me did not share my admiration, but it was his loss. The guitars strummed the chords to my soul, and I was swept into the melody. Fingers tapped against my knee, and my head bobbed to the beat. Lyrics lingered in the air, touching my lips, and the drums pounded with passion, fueling adrenaline. I was not alone as her music swept over the growing crowd, and a thousand eyes moved her way. We melted to the beauty of her heart and soul, to the fires of her passion, and we drifted over the edge and into sweet oblivion. 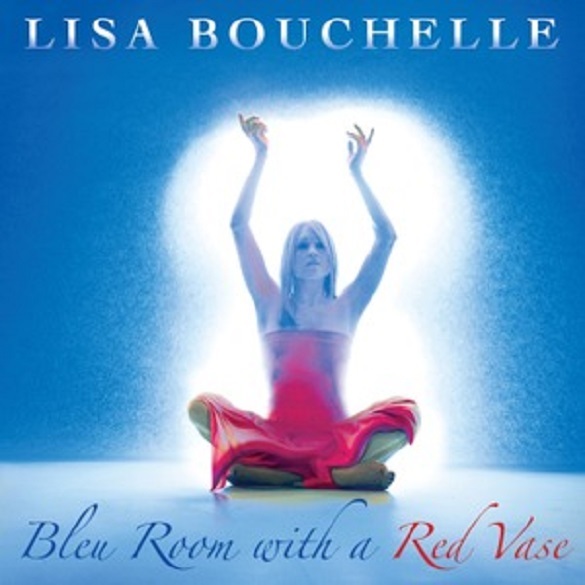 And now I take a seat inside the Bleu Room with a Red Vase. The velvet curtain began to rise. Beauty in the red dress held the microphone gently in hand. Soft eyes traveled across the gazes of those waiting for the wings of talent to soar, and her voice rolled across the room like a welcoming breeze. Melody washed over words no longer left unsaid, releasing emotion from its cage, and falling deep into hearts and minds, stirring dreams, and we drifted into fantasy. And Lisa Bouchelle stole the night away at the Jones Beach Amphitheatre on a blazing July in 2010. 13 tracks. I traveled across intricate rails, carrying me deep into the heart of her music. Her lyrics were whispers of wind slipping through glass windows, and her passion was the sunlight melting through the walls to my world. Depth was the tunnel that swallowed me whole but then slipped me onto the strings of the guitar, over the gentle tapping of piano keys, and into the pounding of the drums, and her songs were the passenger that rode beside me. Not a single one hit a bitter tone. Instead, this album was like a breath of fresh air, promise of a star to rise, and a whisper of a dream realized, and as I sat back in my seat and listened, I fell into the arms of pure inspiration, hope against the gray. And she continued on, rocking that rock that rocks the world. Melissa R. Mendelson is a published short story author and a self-published poet, whose work has been featured in The Outreach for Breast Health Foundation’s Anthology: Beyond Memories, Names in a Jar: A Collection of Poetry by 100 Contemporary American Poets, and Espresso Fiction: A Collection of Flash Fiction for the Average Joe. This entry was posted in Albums, Archive, Live Events, Recently Added, Reviewed. Bookmark the permalink.